Taylor Ursu, Marshal Finch and Regan Hinchcliffe were social media strategists in the early days of the profession. The group struggled to find their niche until they developed a data crawl app and learned that “data was the king of the future”. They decided to reposition their company to be a top player in the emerging industry of Artificial Intelligence, particularly as it can be applied to the auto industry. sMedia’s technology can now predict the vehicles that will most likely sell for a dealership and the type of person that will purchase them. It also helps to find the engaged potential clients and connect them to the dealership. sMedia’s clients have seen the benefits of the technology as one car dealership from the United States has increased their qualified leads by 367%. sMedia has around 600 clients in Canada and the United States and are planning to penetrate deeper into the 57,000 dealerships in North America. When sMedia became a data tech firm instead of an advertising agency, they expanded their team to sixty people and became a Google Premiere Channel Partner. 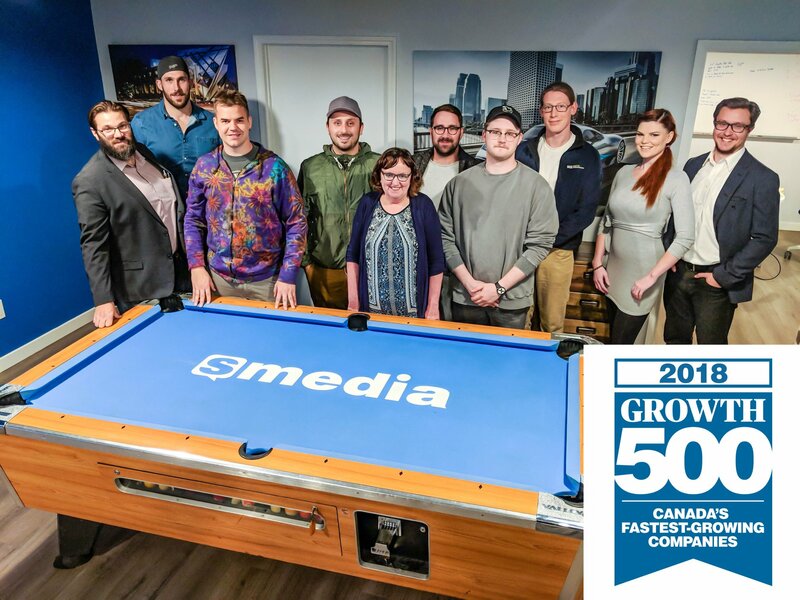 They were recently cited by CanadianBusiness.com as the 53rd Fastest Growing company in Canada and received the Paragon Award for New Business Venture from Regina Chamber of Commerce.